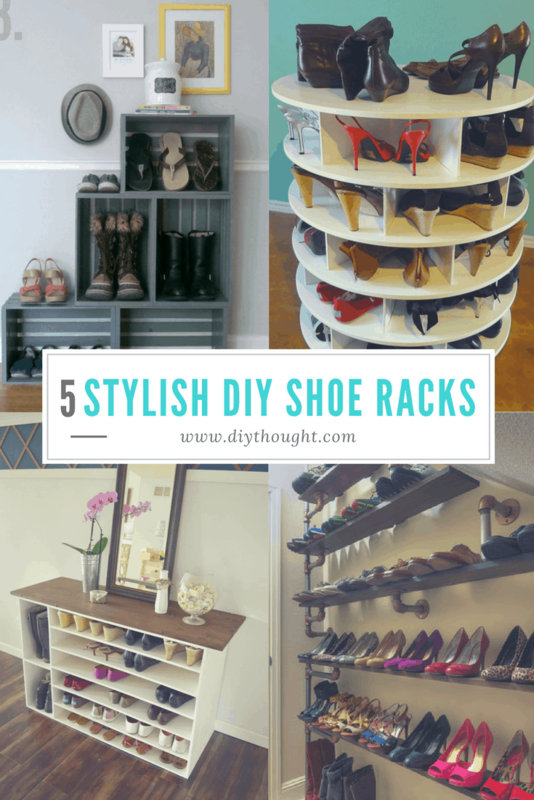 If you have too many shoes and nowhere to put them then these 5 stylish diy shoe racks are for you. There will be no more misplaced shoes or messy piles. Better still they will all add some wow factor to any entrance way. This shoe rack is perfect for any room with the stylish tabletop. 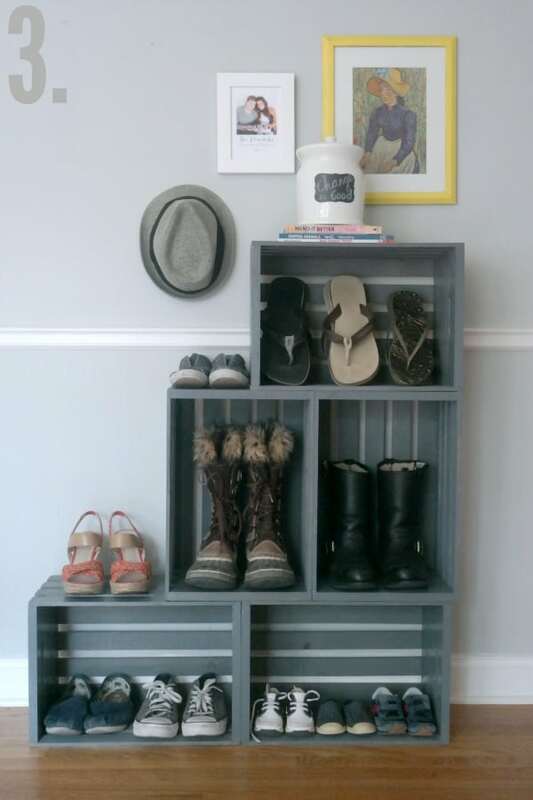 With a special cubby for boots, this shoe rack will keep ALL of your shoes tidy. Click here for the full tutorial. It is hard to believe that something so stylish has come from old wooden pallets. 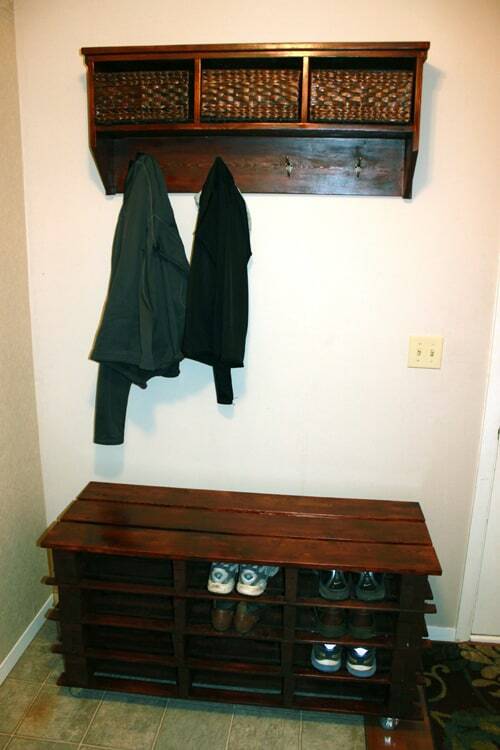 This shoe rack can also double as a bench seat a big bonus for all of those tricky to put on shoes! Follow this link to find the full tutorial. 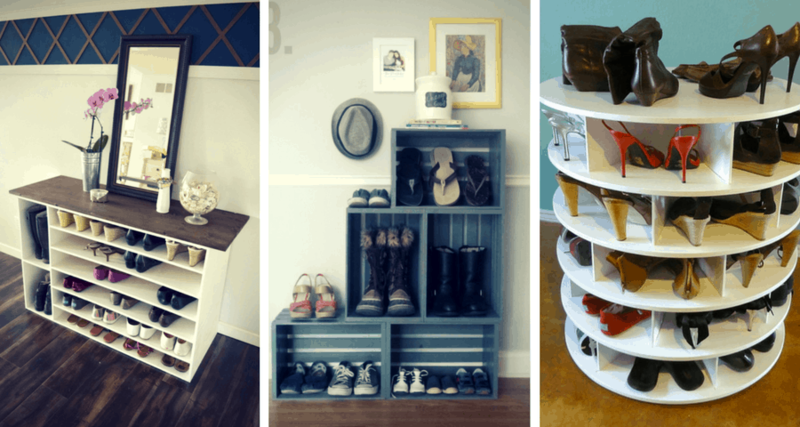 Here is a stylish shoe rack that doesn’t require ANY building skills. Stain and arrange is all that is needed unless you would rather them fastened to a wall. This shoe rack can also be used as a bookshelf or to store just about anything. Click here to read the full tutorial. 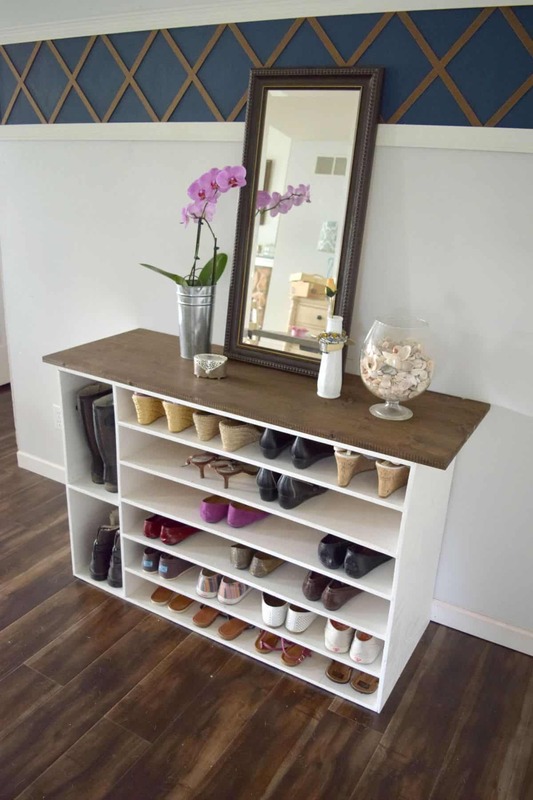 Perfect for open space under the stairs or a feature shoe wall. This shoe rack is unique and fun! Get the full tutorial here. A shoe rack for the true shoe lover. 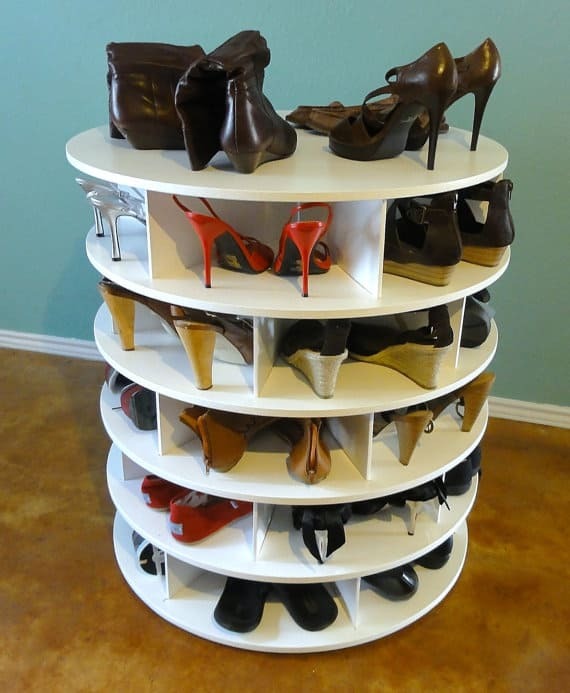 This lazy susan shoe case spins so easy shoe access is guaranteed. Make it as large as needed by simply adding more layers. Follow this link to find out more.